Kawasaki’s new FX850V-EFI engine incorporates an integrated electronic governor and an engine control unit that matches power to cutting load and ground speed. These new features will allow professional landscapers to mow lawns more efficiently with Kawasaki performance and reliability they have come to expect, the manufacturer said. 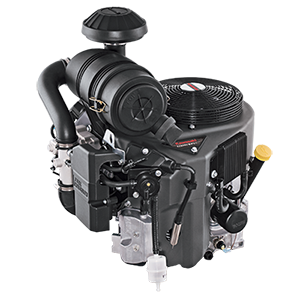 Developed specifically with the commercial market in mind, the new Kawasaki EFI system, which is open-loop, is available on select models of FX Series and FS Series engines, with plans to incorporate it in additional models. The FX850V-EFI—which ranges from 25.5 hp to 29.5 hp—joins two other units that employ the EFI system: FX730V-EFI and FS730V-EFI. Helping to avoid typical hillside mowing slowdowns, the load-matching e-governor system keeps drive wheels and cutting blades working at peak productivity, Kawasaki said. The elimination of power loss through the entire load range lets operators move quickly through almost any turf conditions.